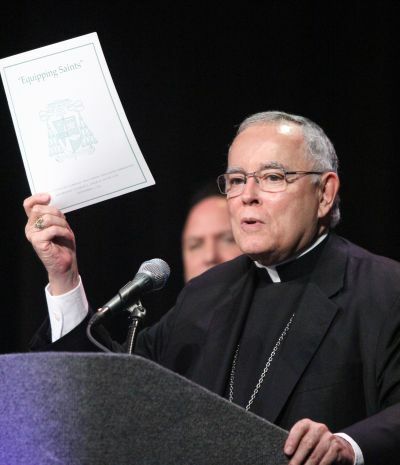 Archbishop Charles Chaput address the teachers as Chris Mominey, chief operating officer and secretary for Catholic education in the archdiocese, looks on. 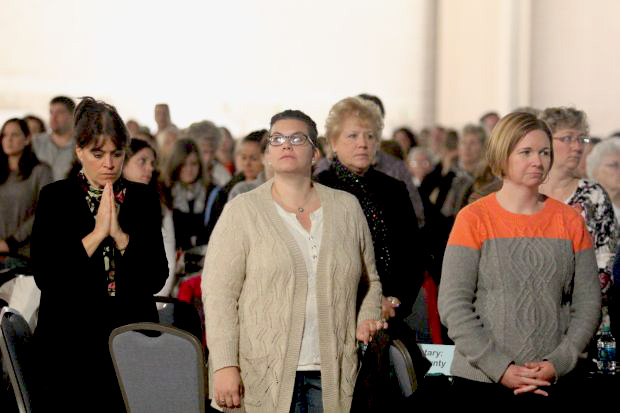 The assembled Catholic school teachers and administrators pray during Mass celebrated by Archbishop Charles Chaput on Friday, Oct. 31 at the spacious Pennsylvania Convention Center. 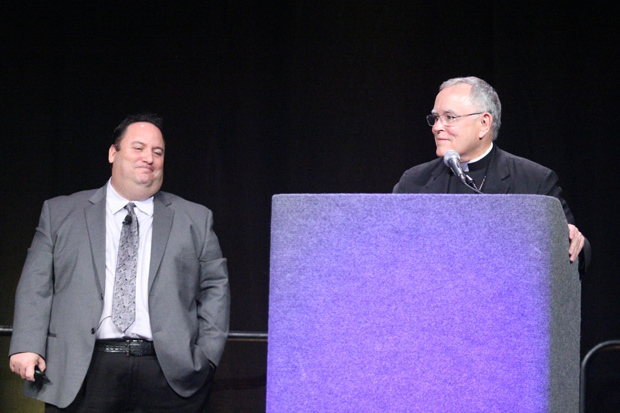 Keynote speaker Father Robert Spitzer, S.J., talks about the relationship between religious faith and scientific reason, using perspectives on the Big Bang theory of the creation of the physical universe. 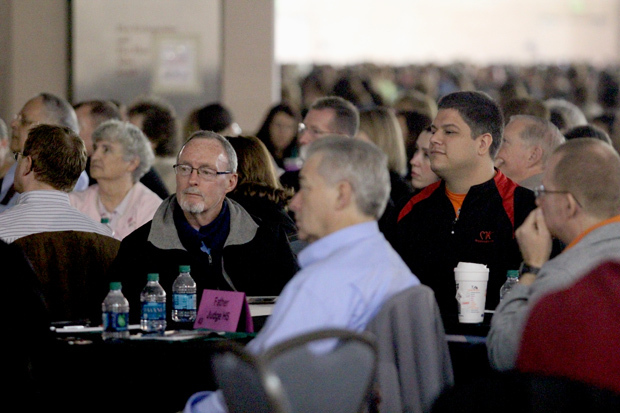 Teachers among the crowd of 3,500, including 2,600 from the archdiocesan elementary, high school and special education schools listen to a speaker. 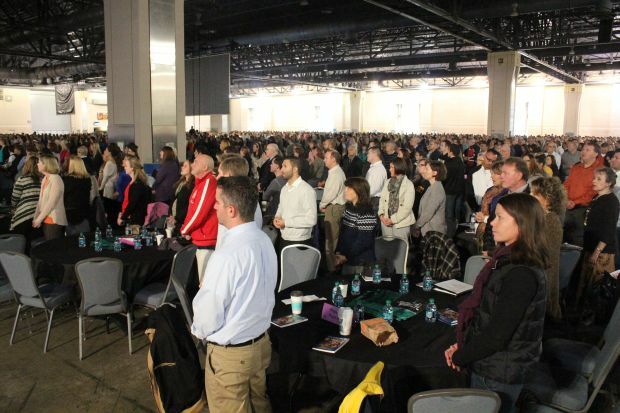 Some of the 3,500 teachers and administrators at Catholic schools in the Philadelphia Archdiocese pray during Mass at the Oct. 31 meeting, which was followed by talks on integrating Catholic education with faith formation. 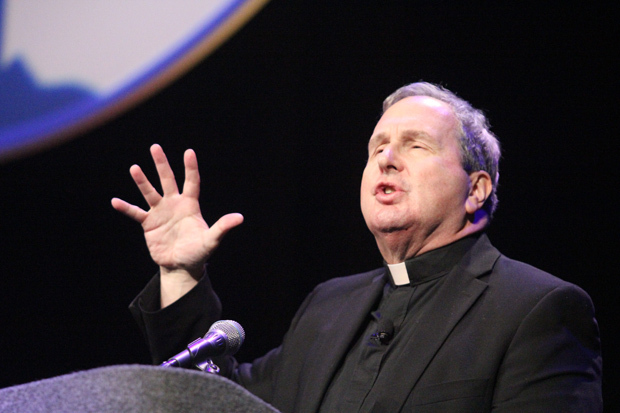 Father Spitzer makes a point during his talk. 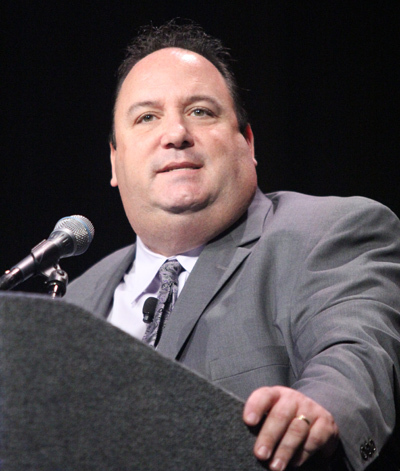 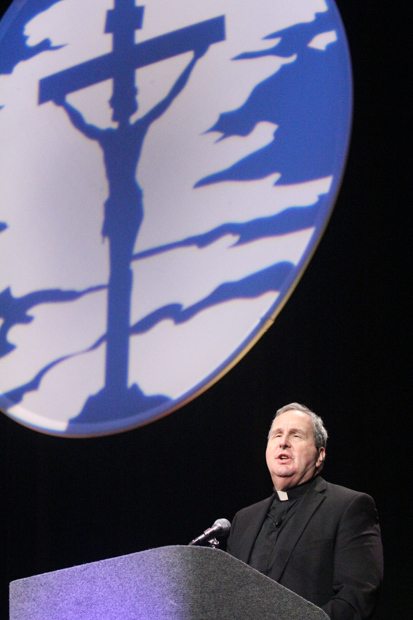 Chris Mominey speaks to all the Catholic school teachers in his address. 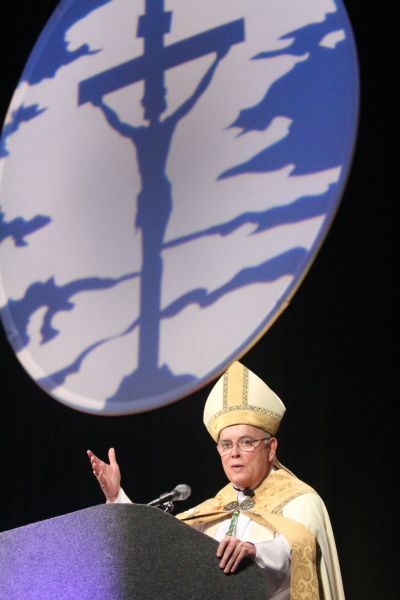 Archbishop Chaput preaches the homily during the Mass he celebrated at the conference. 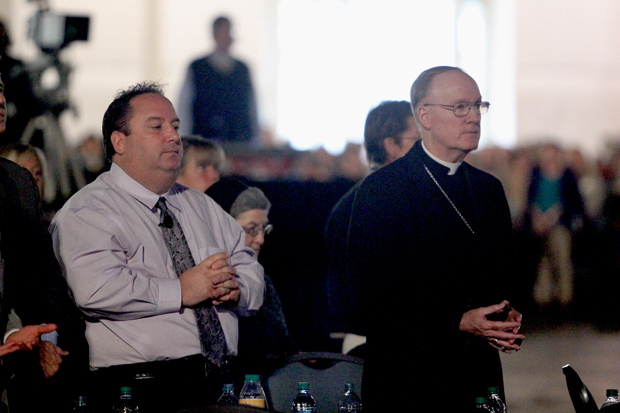 Chris Mominey, left, and Auxiliary Bishop Michael Fitzgerald pray during Mass celebrated by Archbishop Chaput.